You may have heard about the newest edition of Dungeons & Dragons that came out late last year. Perhaps you thought you were interested in trying it, but found the game too complex. Maybe you’ve never played a tabletop RPG before, or maybe you have when you were younger, and you’re interested in trying them again. Maybe you’re just looking for new experiences! Whatever the reason, you should know that D&D is only the tip of the iceberg for what tabletop RPGs are capable of. Furthermore, D&D, in my opinion, is not a great place to start. There is a lot of cruft and historical baggage that needs to be sorted through and it honestly doesn’t do a good job of explaining itself to people who are completely new to the hobby. So, instead, let me recommend some games that are perfect for someone who is new! I’ve sorted this list by weight category (as in how rules-heavy they are) and I’ve also put in what genre each game is, in case you have a particular taste. As a note, something to consider when you are deciding which game to play is whether you should purchase a PDF file or a physical copy. PDF copies of games are usually much cheaper than their physical counterpart. PDFs of the games below mostly run from $10 to $15, compared to at least $25 for a physical copy. RPGs can be expensive, so while PDFs can be harder to pass around or to look up rules on, they are a much more financially astute option. DriveThruRPG.com is a great place to find PDFs. Lightweight games are the most basic RPGs, and allow people to get into them without needing much preparation. They are perfect for people who have never played tabletop RPGs before. Fiasco, of all of these games, is the most basic example of what an RPG is. All you need to play are a handful of dice, some index cards, and a scenario (several of which come in the core book). Fiasco is a game about Fargo-esque capers. It’s about small-town people with more ambition than forethought going at each other’s throats before limping away into the epilogue. Play starts by rolling a pool of dice, then building a scenario off the outcome. Each player has a relationship to their neighbors, while some also share a place, an object or a need. Needs are the driving force behind the game, and are usually what spurs on the action. Once the scenario is built, players take turns enacting scenes with each other. When it’s your turn, you get to choose to establish the scene or decide the outcome. The option you don’t choose is chosen by the other players, ensuring that there is always some uncertainty to a scene. Not sure what your scene should be about? Let the others decide! Feeling like your character has had it too easy? Let the others rough them up a bit! While Fiasco assumes a modern backdrop, the game can take place in any genre. Science fiction, fantasy and westerns can all be used to tell stories! Dread adds a few more pieces to the “standard RPG formula,” like a game master to oversee the action, but it also removes others. For one example, there are no dice! Instead you have The Tower. The Tower is, well, a Jenga tower. Now, you might laugh at imagining a horror game based around Jenga, but you have to understand how Dread works. When you come to a situation your character might fail at, you must pull a block from the Tower and place it on top, just like Jenga. Do so, and you succeed at your action. You may also choose not to pull the block to fail the action. However, if you try to pull a block and the Tower falls, your character dies. Imagine, each trial you try to overcome could be your last. Very quickly, Dread lives up to its name, as that is what you’ll be feeling as you play the game, which is fast and brutal. 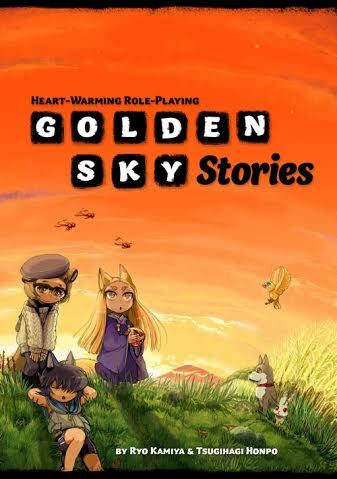 GSS bills itself as a “heartwarming RPG,” and it certainly lives up to that. While the game toes the line between lightweight and medium weight, it errs enough on the lighter side to fit into this category nicely. If you are not interested in violence or classic RPG settings bore you, GSS may be what you are looking for! Medium weight games up the ante a bit in terms of complexity, but they are still lighter affairs. All of them employ the standard RPG materials: dice, character sheets and a game master running the whole thing. 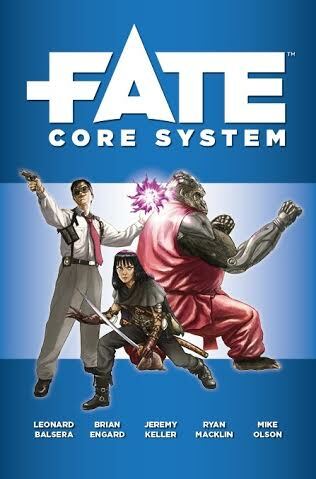 Fate Core is more of a gaming system than one game in itself. That is, it is a framework that you can build many different genres of games on top of. The game uses sets of “Fate dice,” special six-sided dice that have a collection of pluses and minuses on them. You roll four dice at a time, adding the pluses and minuses to a skill for your outcome. Fate also uses several freeform mechanics for character creation, like aspects, which are different facets of your character that you can activate for bonuses, and stunts, which let your character break the rules in ways specific to them. If Fate Core is a little too complex, you can try Fate Accelerated Edition, which pares down the system even more. Now, instead of a list of skills, your character is made up of several different broader sets called approaches. After picking up the system, you can use several different games that have been built using the engine, or you can simply come up with your own campaign and genre! Fate Core and Fate Accelerated Edition are both pay what you want, so you can even pick them up for free now and pay for them later. 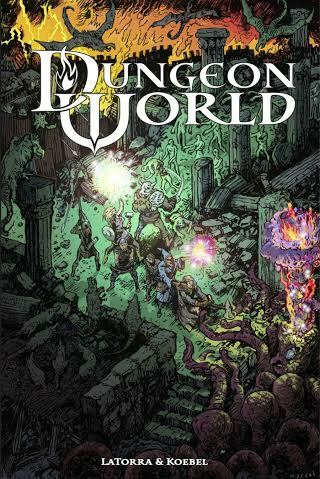 Dungeon World is a game that tries to capture the idea of Dungeons & Dragons while leaving aside the weightier mechanics. Instead of a class loaded down with abilities and spells that you need to reference the book for, each class fits onto two pages, which also serves as your character sheet. The game itself is built on a flexible system that plays with consequence to heighten danger and make for a more intense experience. While many of the mechanics have been extrapolated from D&D itself, they have also been pared down. Bonuses or penalties to a roll will rarely exceed two, you will always roll two six-sided dice to pass an obstacle, and you will always know what number you need to hit for a specific result. Dungeon World offers more complex options, especially for the GM, like Fronts, which let the GM plan plot points and campaigns around their players. For the most part, however, Dungeon World is a light and easy to understand RPG. Cortex Plus is the system used by Margaret Weis Productions for many of its RPGs, including two based off of popular TV shows, Firefly and Leverage (Cortex Plus is also used in the sadly discontinued Marvel Heroic Roleplaying). Unlike other RPGs, Cortex Plus doesn’t have you roll one set die for tests. Instead, you build a pool of dice based on all applicable traits and skills. A die that you add to the pool can vary in “size,” which is to say that a four-sided dice is “small” and a twelve-sided die is “large.” The bigger the die, the better you are at what you are trying to do, so at a glance you can easily see how much of a chance you have of succeeding at your task. Another bonus to the Cortex Plus system is all of the licensed properties it utilizes. 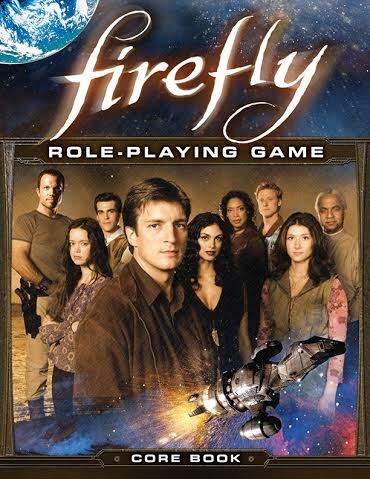 If you are playing Firefly, for instance, and you have any familiarity with the show, you know that you will probably be playing a ragtag gang of mercenaries, struggling to scrape by. For people who are completely new to RPGs, having a familiar idea to grab hold of is extremely helpful. Both Firefly and Leverage have $5 starter adventures which also contain the basic rules of the game, in case you want a cheap entry point. 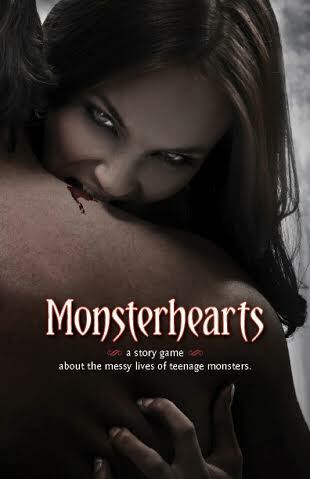 Monsterhearts uses the same base system as Dungeon World, but while the latter aims to emulate Dungeons & Dragons, Monsterhearts lets you tell stories that mash Buffy, Twilight and The Vampire Diaries together. In this RPG, you play as teenage monsters trying to live their lives while subsequently destroying them. Monsterhearts can be dramatic, it can be violent, and it can be darkly funny. It’s also a wholly unique and, when boiled down, fairly simple game. Like Dungeon World, Monsterhearts has a single sheet for each monster that serves as both a character sheet and rules reference. Monsterhearts sits a little higher on the list than Dungeon World even though it has arguably simpler rules because of its mature themes. In this game, you truly have the power to destroy another character’s life, and while physical violence is rampant in many RPGs, mental violence that can be afflicted between teenagers is something fairly unique to Monsterhearts. Heavyweights are just on the cusp of what one might call “complex.” I’d even caution that you try a lightweight or medium game before diving into one of these. Still, they are a good gateway to truly complex games, and many of them are perfect for a first campaign. 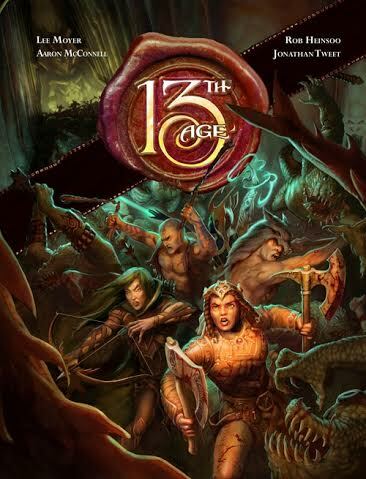 13th Age has very obvious ties to Dungeons & Dragons. It’s a fantasy game full of adventurers, very familiar races and classes, and very similar mechanics. It also, however, has taken a few elements from lighter games to create a unique experience. Instead of choosing from a long list of skills, for instance, you simply give your character backgrounds. A character with “Shady Fence +2” will be good at haggling with others, but also at appraising an item’s value, and many other things as long as you can provide a good reason for it. Another aspect is that you choose a unique thing about your character, something that makes them different from everyone else in the world. This trait usually has little influence on the game itself, and merely helps you flesh out your character more. It’s little things like these that make 13th Age a more freeform game, and while it shares a few unfortunate ties with Dungeons & Dragons that drag it down, it still makes for a unique and exciting experience. 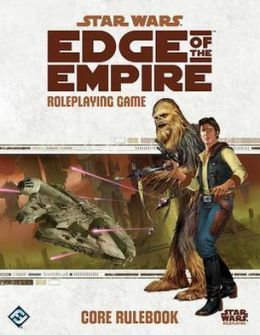 Star Wars: Edge of the Empire and Star Wars: Age of Rebellion are technically two separate games that share the same system, but really, the only difference is that the former focuses on bounty hunters and smugglers while the latter focuses on the infamous Rebellion. Like Cortex Plus, Star Wars uses a dice pool system, but in this case, the game uses custom dice with special symbols replacing the numbers. There are six main symbols, which boil down to success, failure, critical success, critical failure, advantage, and disadvantage, and there are several different colors of dice. You gather dice depending on your skills (green and yellow) and the difficulty (purple and red) and roll them all together. Add together everything and you can quickly determine success or failure. Add this fairly unique and simple system with another thing that makes Cortex Plus popular—a recognizable and celebrated license—and Star Wars can be quite the easy sell to make to potential players. Both Edge of the Empire and Age of Rebellion have $20 starter kits available. After a long while sitting in limbo, Call of Cthulhu, 7th Edition is now available, and promises a streamlined and simpler game than previous editions. Call of Cthulhu uses a percentile system, so if you have 25 strength, you’ll want to roll a hundred-sided die (or, more commonly, two ten-sided dice, using one die as the tens place and one as the ones place) and try to get under 25 to succeed. If you couldn’t tell, this game is based on the Cthulhu Mythos, so expect horrible, twitching abominations and minds snapping a-plenty. 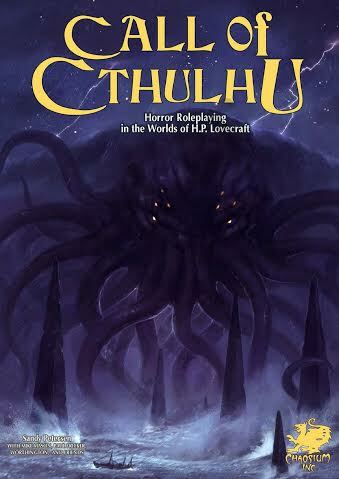 Chaosium, the makers of Call of Cthulhu, are offering the quickstart rules for free on their website, so check that out to learn more! So there you are! Ten easy to learn yet compelling RPGs to introduce you to a world of them. This is, of course, just the beginning when it comes to the myriad RPGs you can find and play, so after familiarizing yourself with these, you might be interested in playing some more complex games, like Apocalypse World, Iron Kingdoms, Mutants & Masterminds and Hillfolk. Go out and explore! Bryce Duzan is a freelance journalist and game designer, and strives to bring a queer perspective to board games and tabletop RPGs. He can be found on Twitter with the handle @Spincut.